White-tailed Tropicbird - c.30 miles SE off Hatteras Inlet, Cape Hatteras, NC. May 25th, 2011. 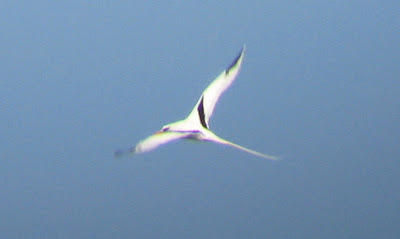 Perhaps the highlight of the first of two days pelagic birding with Brian Patteson off the Outer Banks, North Carolina. 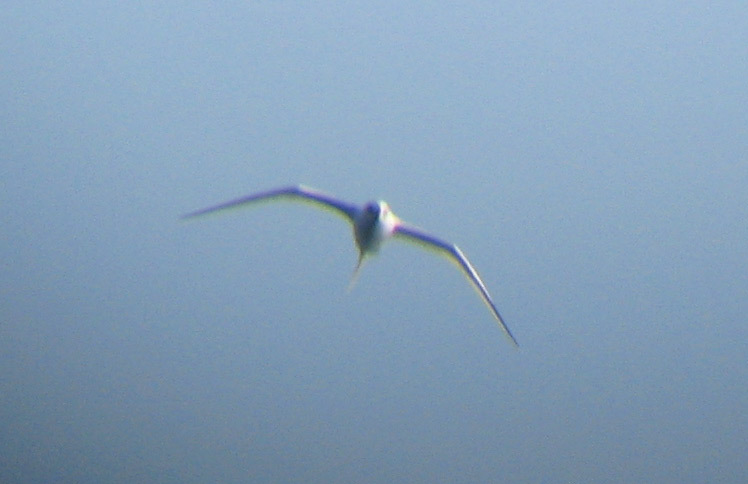 This inquisitive bird suddenly appeared over the boat to a scream of "tropicbird!!". It then made at least two more passes of the boat much to the delight of all on board, before heading off across the ocean to the south ( I think). I wasn't quite prepared but managed to grab a few images through my bins using a Canon Powershot A560. 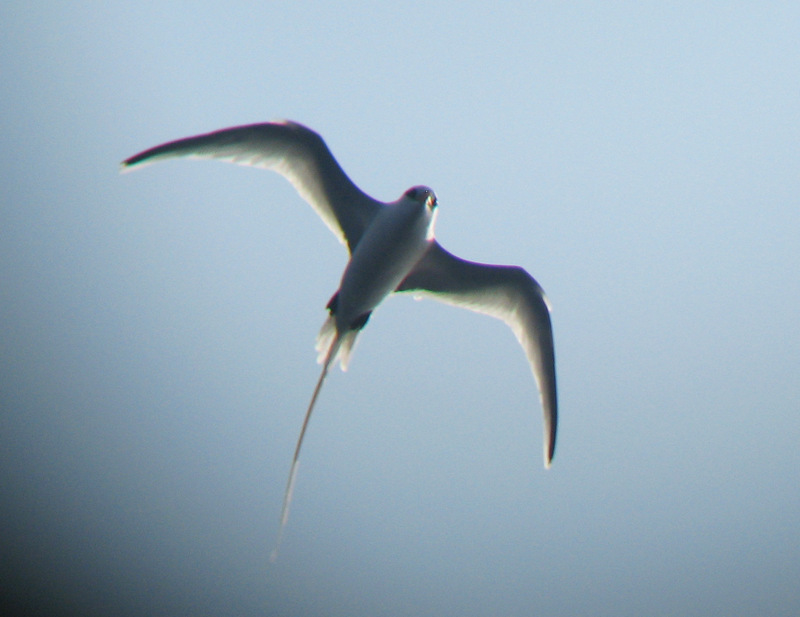 More on Brian Patteson's SeaBirding Pelagic Trips can be found here. 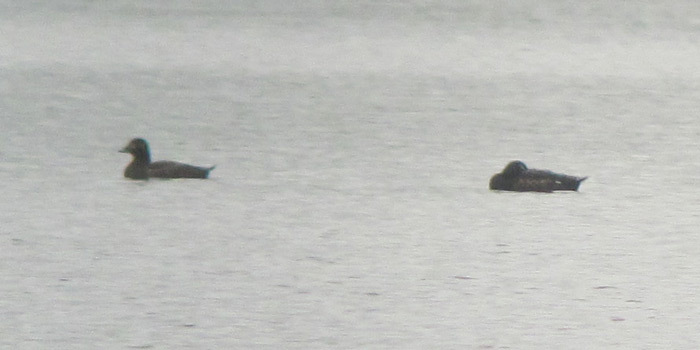 White-winged Scoters - Barton Cove, Gill, Franklin Co., MA. May 17th, 2011. 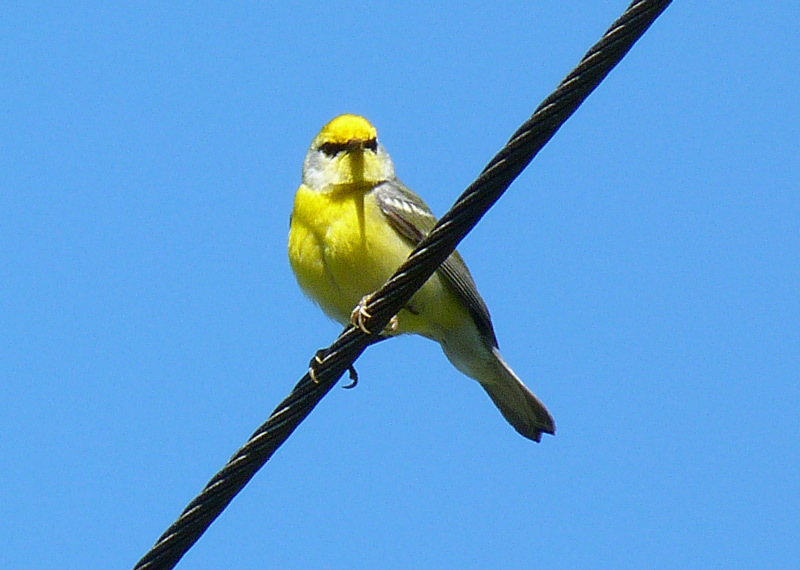 Two birds, male and female. These had probably moved on before the new group of seven (below) arrived on the 19th. White-winged Scoters - flock of seven, Barton Cove, Gill, Franklin Co., MA. May 19th, 2011. The current spell of inclement weather, now in its fifth staright day, brought a nice a flock of seven White-winged Scoters to Barton Cove this morning. The birds remained in a tight, roosting group just off the public ramp off Route 2 in Gill. They only looked up at the occasional marauding Bald Eagle before resuming resting in preparation for the long, tundra-bound journey North. Two White-winged Scoters were also present at Barton Cove on 05/17 though I didn't notice any at all on the the 18th suggesting they may have moved on before the new group arrived today. 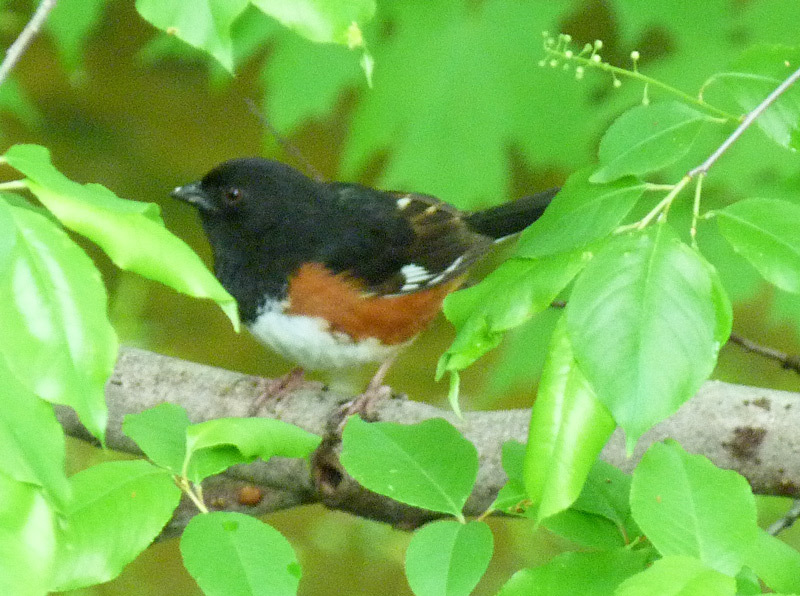 Eastern Towhee - male, Gill yard, Franklin Co., MA. May 17th, 2011. Other notables locally included several Alder Flycatchers and Magnolia Warblers along Main Road in Gill and the continued presence of an Eastern Towhee in the yard since the 17th. Our local Louisiana Waterthrush was also singing well on this damp May morning. Bald Eagle - immature, Barton Cove, Gill, Franklin Co., MA. 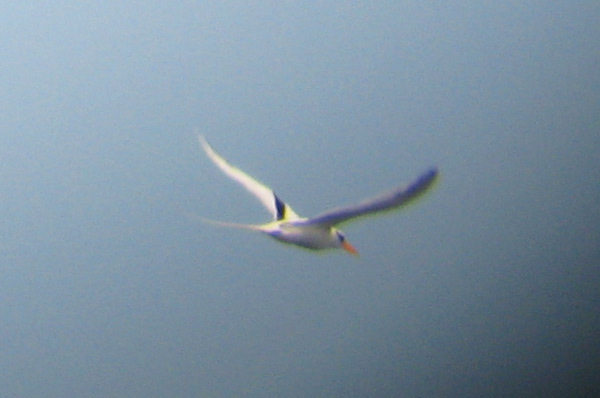 May 18th, 2011 - regularly present in addition to two breeding adults. 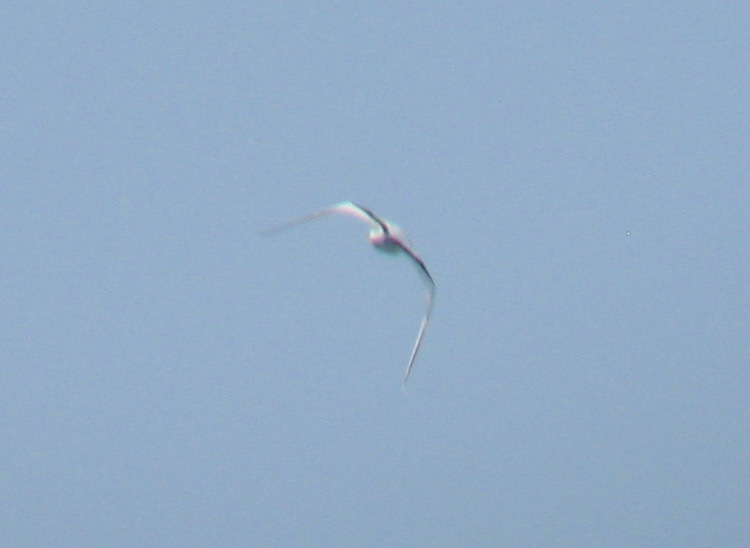 Also of note yesterday, a brief naked eye view of an unidentified egret, probably a Great, at Barton Cove before it was promptly flushed by one of the resident Bald Eagles. 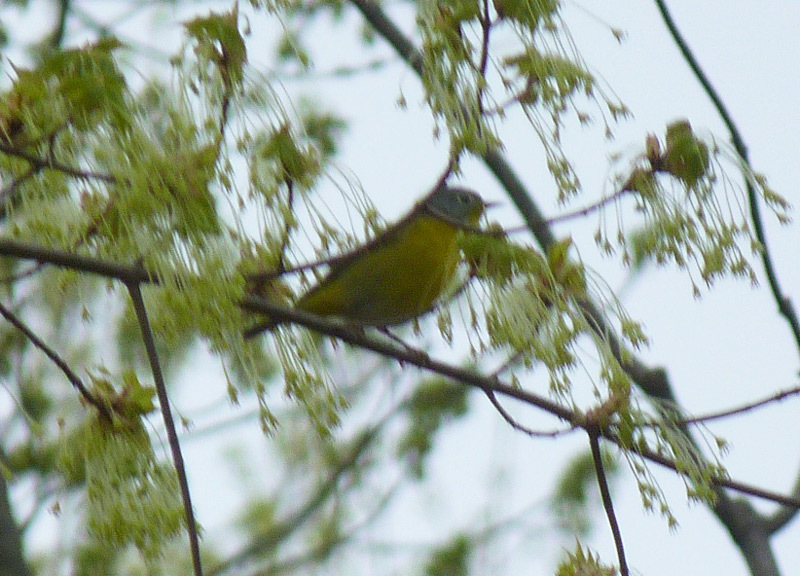 Brewster's Warbler (Blue-winged x Golden-winged Warbler Hybrid) - Ferry Road, Montague, Franklin Co., MA. May 13th, 2011. 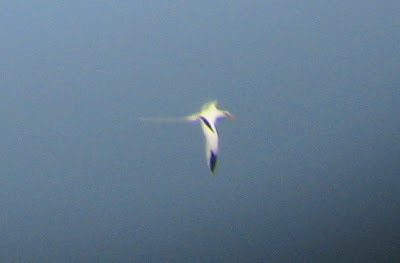 This super bird was found by Brian Kane on May 12th and still present this morning. 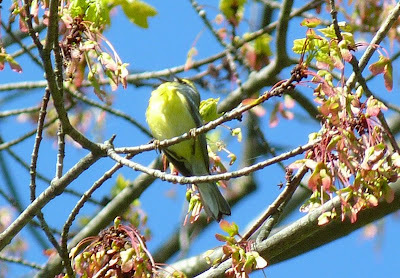 It was giving a Blue-winged Warbler alternate song and showed very well right above Ferry Road, even singing from the overhead cables at times. This bird most closely resembled the 1st generation male Brewster's illustrated on P.428 of the Sibley Guide. 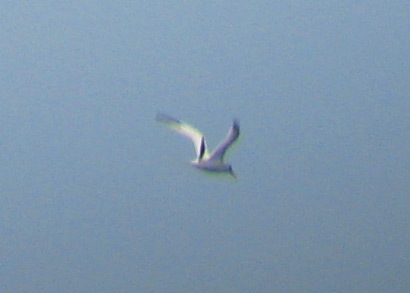 However, the mantle tone is grayer (closer to Golden-winged) and the wing bars whiter (closer to Blue-winged) than Sibley's illustration which may point towards this one being a backcross variant rather than the offspring of pure parents. 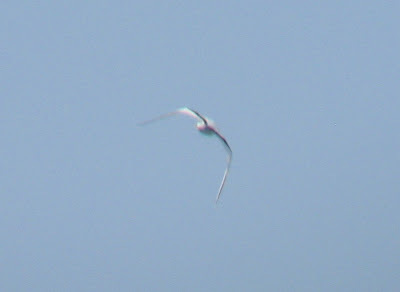 Either way, a really interesting bird for me having not seen anything like it since a backcross Brewster's in Veracruz, Mexico in October 2001. Rose-breasted Grosbeaks - Gill yard, Franklin Co. MA. May 10th, 2011. 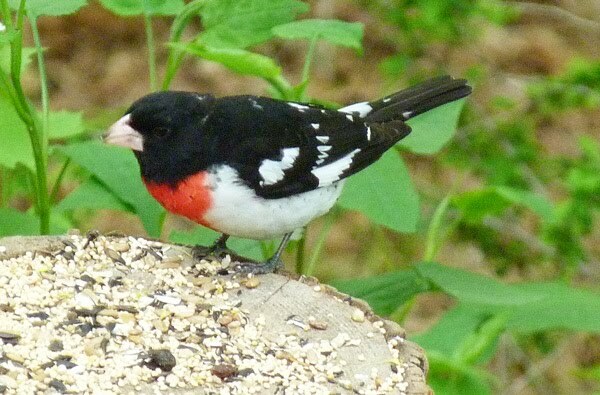 At least two different males visited the feeders today. 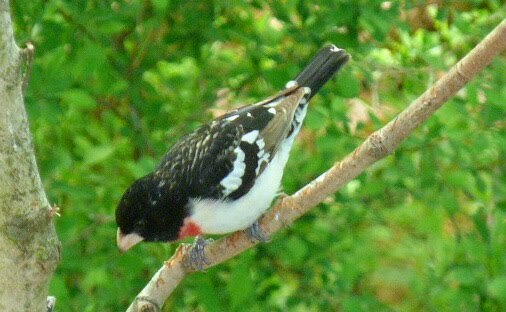 The bird in the first image is a mature male in full breeding plumage as shown by the solid black upperparts and black remiges. 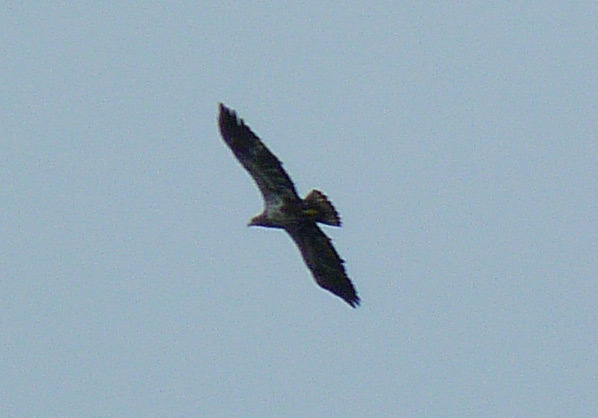 The bird below is a first-summer male showing a more mottled appearance to the nape and mantle, and clearly worn, brown secondaries and primaries. 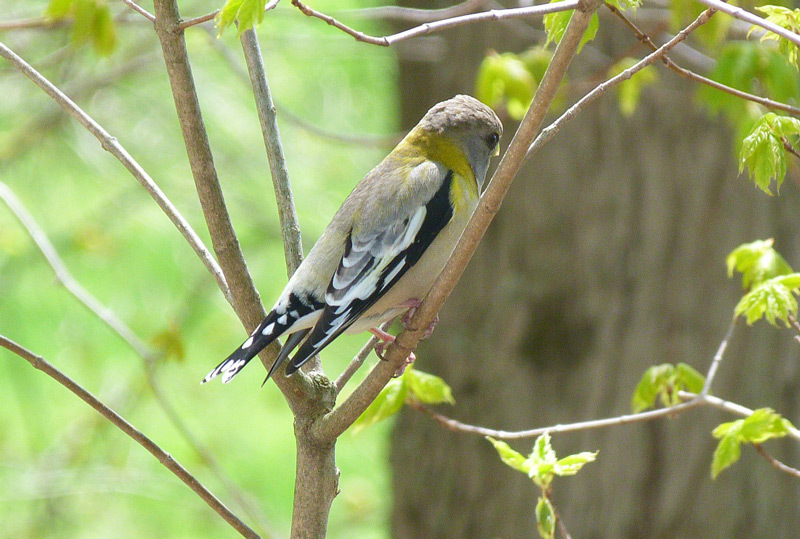 The birds in our Gill yard continue to impress, even aside from the daily arrivals of warblers, the feeders still attract many Pine Siskins and American Goldfinches. The Chipping Sparrows and the few remaining White-throated Sparrows have now been joined by newly arrived Rose-breasted Grosbeaks and Indigo Buntings. 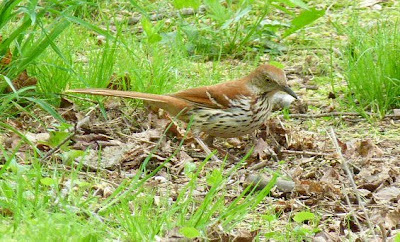 There may have been a Brown Thrasher lurking around the Alder patch since late April but this afternoon I found him, boldly turning leaves out in the open. 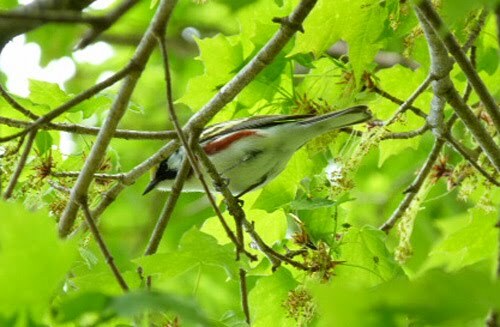 Chestnut-sided Warbler - Gill yard, Franklin Co. MA. May 10th, 2011. 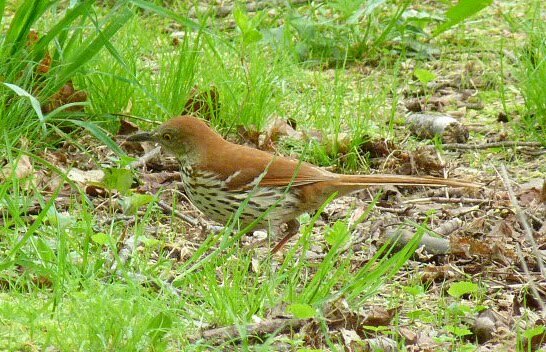 Like most of the warblers in the yard at the moment, Chestnut-sideds are more often heard than seen. 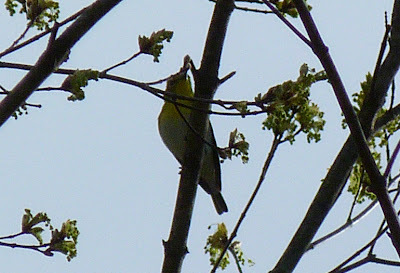 This one showed well in late afternoon whilst giving a quiet alternate song. 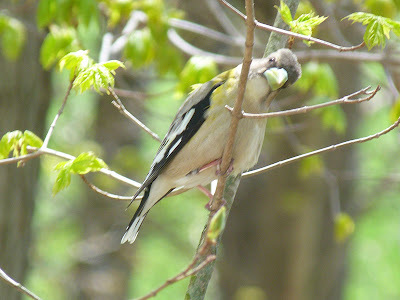 Up to four have been present since early May and with suitable habitat within the perimeter of the yard, there's a good chance a pair will breed here. 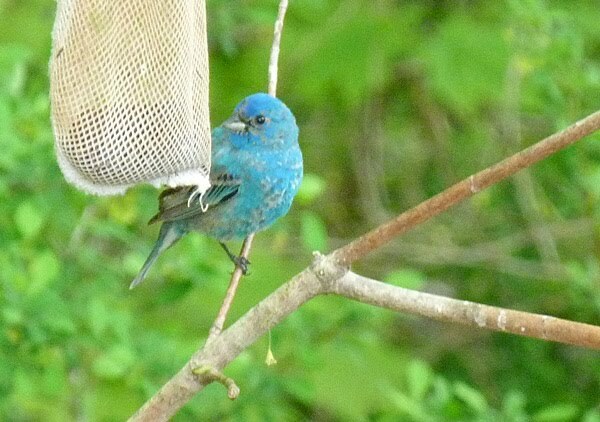 Indigo Bunting - male, Gill yard, Franklin Co. MA. May 10th, 2011. The same male, photographed at the same time of day on the same branch but with images taken from two different angles (actually bedroom window - uppershot, and basement - lower shot). 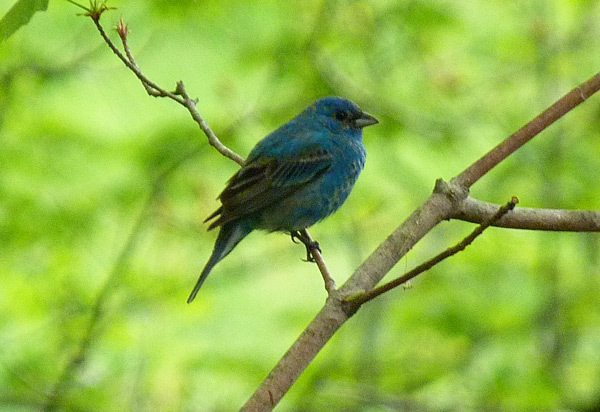 I heard my first local Indigo Buntings singing just one day earlier. 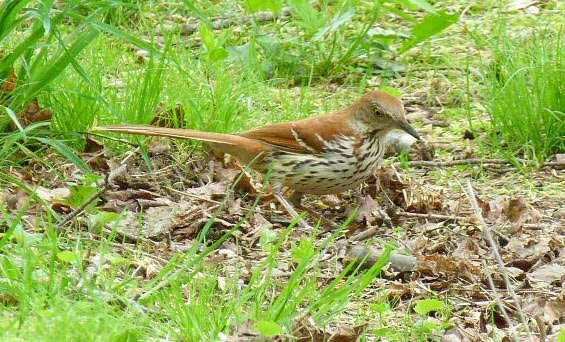 Brown Thrasher - Gill yard, Franklin Co. MA. May 10th, 2011. Often a real skulker and a real treat to have this one foraging out in the open! 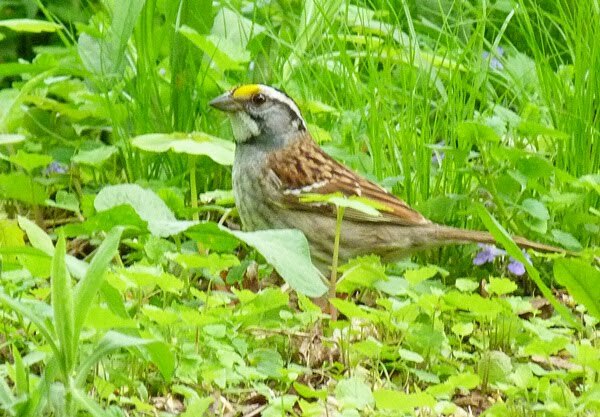 White-throated Sparrow - Gill yard, Franklin Co. MA. May 10th, 2011. At least some White-throated Sparrows have been present daily since late September but numbers have dwindled sharply in the last couple of days with no more than three birds remaining, presumably as birds disperse to breeding areas. 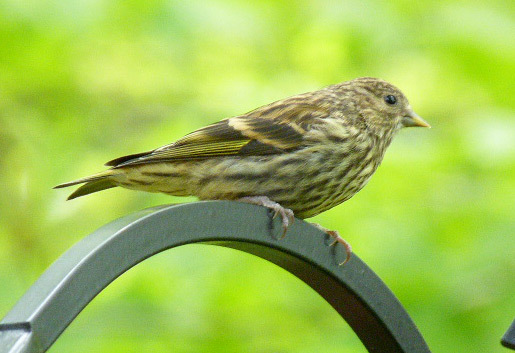 Pine Siskin - Gill yard, Franklin Co. MA. May 10th, 2011. Up to twenty remain, visiting the feeders on a daily basis and likely breeding in the local area. Other notable birds in or close to the yard today; Belted Kingfisher, Yellow-bellied Sapsucker, Yellow-throated and Warbling Vireos, Blue-winged, Black-throated Green, Blackburnian, Nashville and Pine Warblers, American Redstart, Northern Parula, Common Yellowthroat, Louisiana Waterthrush, Ruby-throated Hummingbird, House Wren, Eastern Bluebird, Tree Swallow and Field Sparrow (singing). 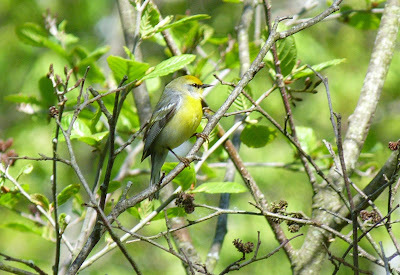 I also may have heard a Blackpoll Warbler briefly singing in late morning. 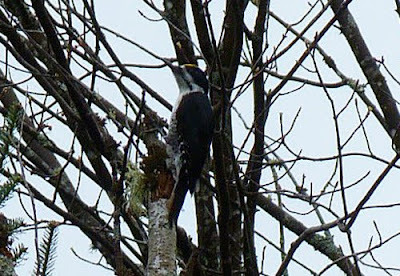 Black-backed Woodpecker - male, Moose Bog, Wenlock WMA, Ferdinand Co., VT. May 4th, 2011. 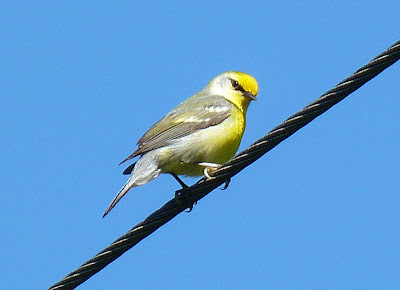 Our only 'boreal' specialty of the day...but a good one and an ABA Code 2 species. Susannah and I took our chances on an 'iffy' weather forecast and headed for the North-east Kingdom of Vermont for a long day out. The day remained soggy and gloomy and certainly didn't brighten up from noon as had been predicted...but it was still a marvelous day and very pleasant to have our chosen area (Moose Bog) entirely to ourselves. The weather may have impacted our chance of seeing Spruce Grouse and the closest we got was the 'whirring' of wings disappearing into the forest as we rounded a promising looking corner. If seeing boreal birds was a our only goal we would have been disappointed but something of the day was salvaged with a fine male Black-backed Woodpecker before it too disappeared into the wet forest. Moose Bog has proven to be an incredibly consistent spot for this species over the last few years and I've found them on all my visits. Throughout the day the most prominent songsters were Winter Wrens (8+) and Golden-crowned Kinglets, and we saw several Hermit Thrushes including one very gray bird which closely resembled one of the pallid, gray Interior Western forms. 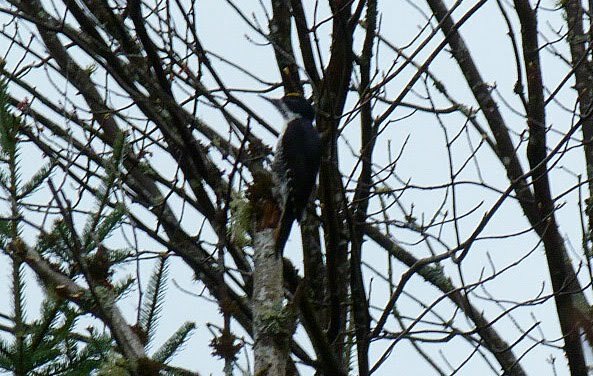 Unfortunately, by that stage in the day, my camera had frozen due to wet and cold and I only just managed to get the shot of the woodpecker featured above. 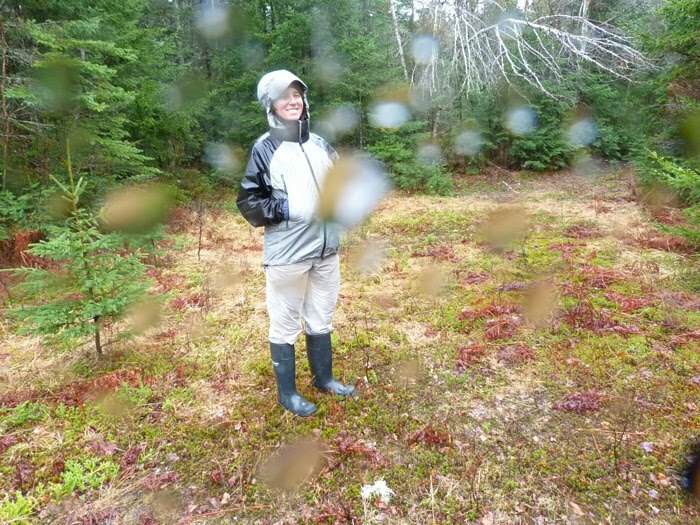 Susannah at Moose Bog looking cold and wet but still smiling. Evening Grosbeak - female, Gill yard, Franklin Co. MA. May 1st, 2011. 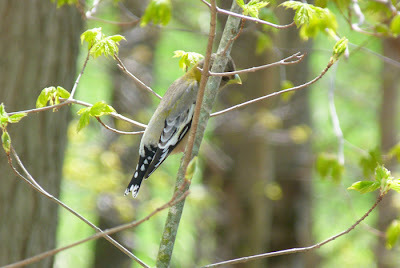 A most unexpected but welcome visitor to the feeders at around 12:45hrs. Stayed for perhaps less than five minutes but long enough to snap a few pics through the living room window. Not quite a new 'yard bird', as I heard a single flying over the house in early April but in terms of birds actually at the feeders it doesn't get much better than this - what an absolute cracker!! 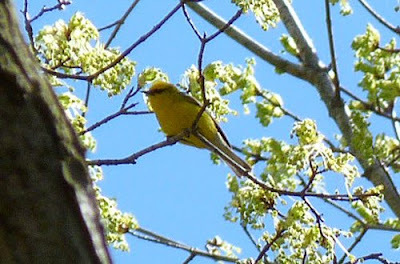 Blue-winged Warbler - Gill yard, Franklin Co. MA. May 1st, 2011. Nice find, feeding (quietly) high in the Sugar Maples. Not quite the first of the year locally, but pretty close. 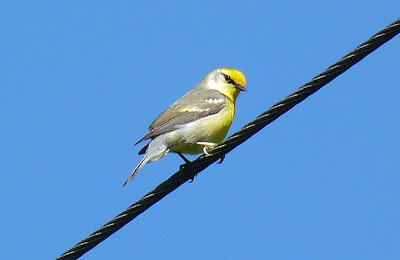 I did hear a Blue-winged Warbler singing along Main Road in Gill on April 28th. Elsewhere in Gill today, an American Kestrel near the Giving Tree Nursery School and a singing Winter Wren on Barney Hale Road. The opening days of May have been something of a whirlwind, both bird-wise and family-wise. 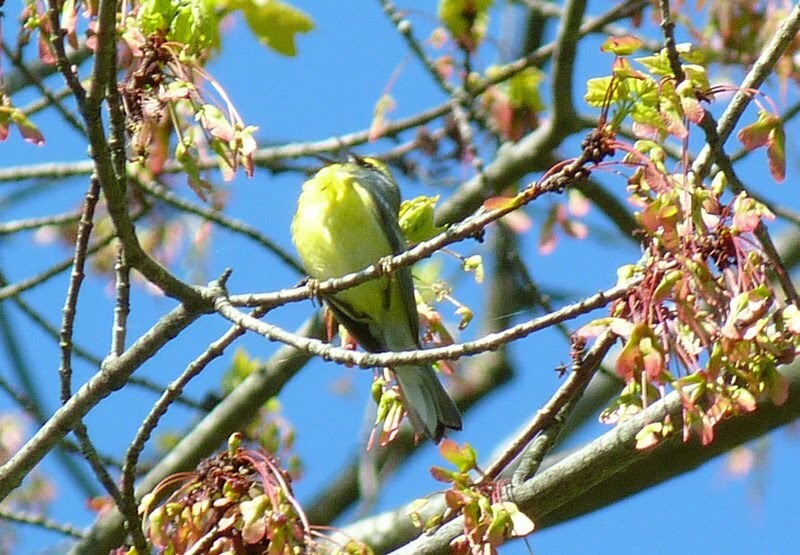 The pace of migration continues unabated with each new day bringing fresh arrivals to our area of Gill. The following posts attempt to catch up with some of these events though in reality it's been way too busy to capture them all. 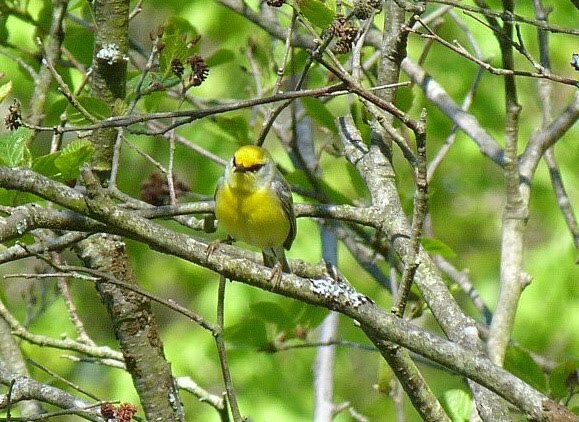 Being our spring in Gill, new yards birds have become almost routine whilst others have been returning on migration having not been seen since the fall. It's an incredibly exciting time of year! 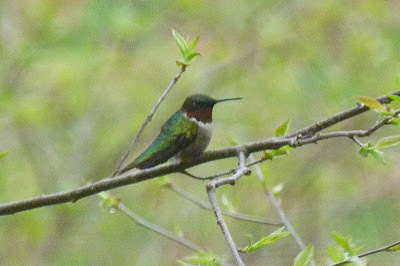 Ruby-throated Hummingbird - male, Gill yard, Franklin Co., MA. April 28th, 2011. First of the year, photographed through the living room window. Looking cold and wet but surely happy to have arrived! Nashville Warbler - Gill yard, Franklin Co., MA. April 30th, 2011. Another yard first, just 'appeared' outside the living room window. Yellow-throated Vireo - Gill yard, Franklin Co., MA. April 30th, 2011. 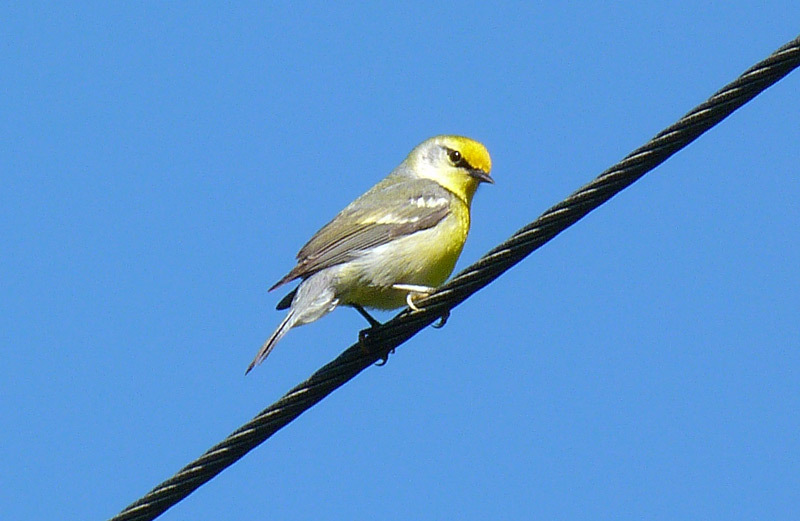 The date is on the early side for this species, with this transient bird singing as it passed through the yard in the morning. 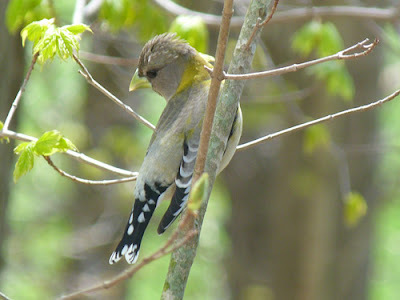 Another nice addition to the yard list. 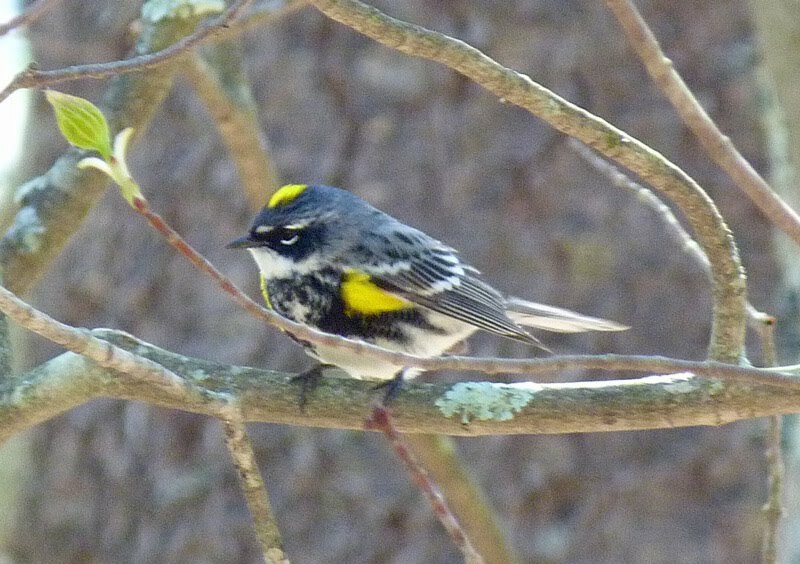 Yellow-rumped Warbler - handsome male, Gill yard, Franklin Co., MA. April 30th, 2011. 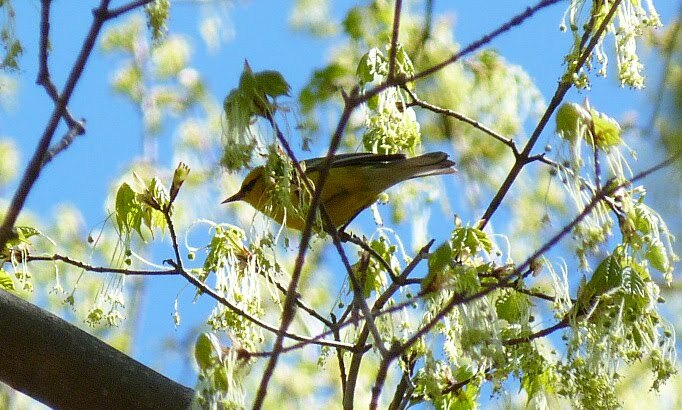 Perhaps the most common of the wood-warblers through late April and into May being present (often in numbers) on a daily basis. 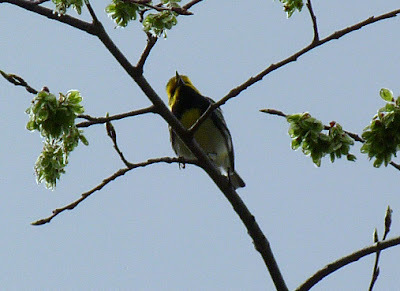 Black-throated Green Warbler - male, Gill yard, Franklin Co., MA. April 30th, 2011. Our first of the year in the yard, though birds had been singing in the surroundings since at least April 27th.